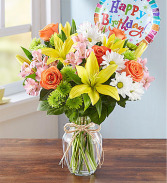 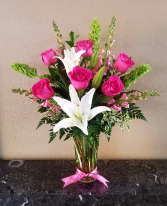 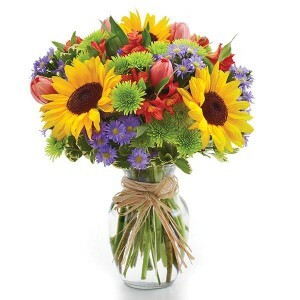 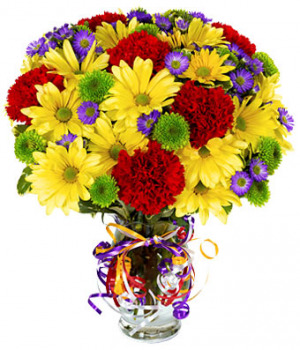 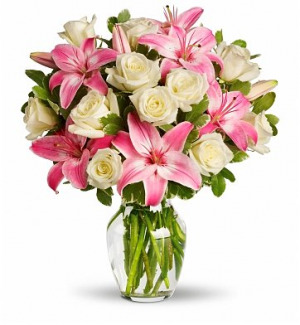 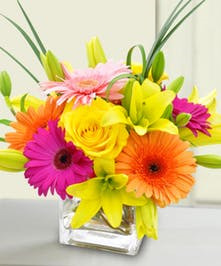 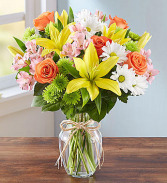 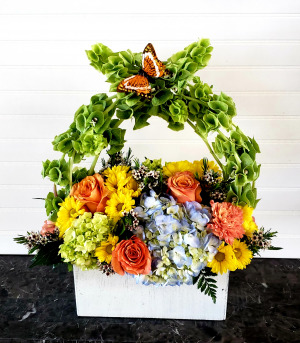 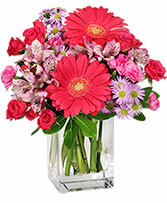 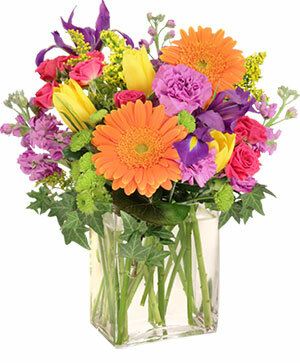 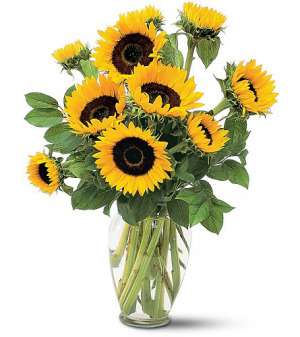 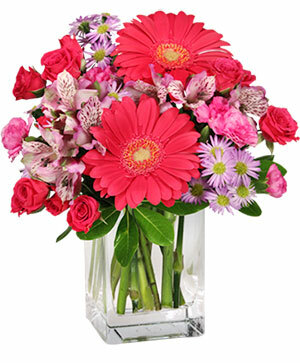 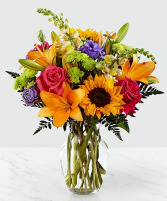 Bursting with vibrant hued Gerbera daisies, roses, and lilies, this cube will brighten her day and remind them that you care! 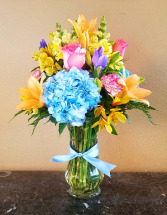 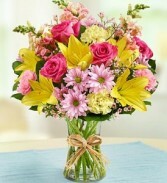 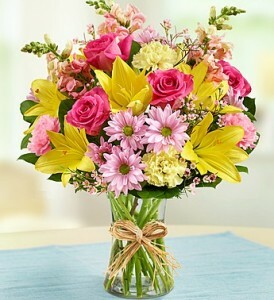 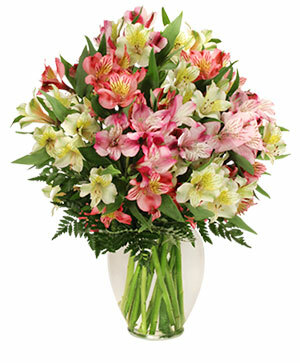 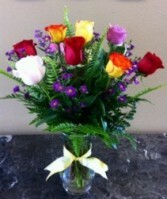 Blue Hydrangea, Yellow Lilies, Pink Roses, Carnations, Yellow Astromeria, Fern in a 9 inch Vase. 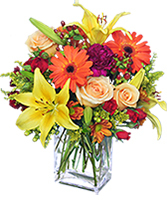 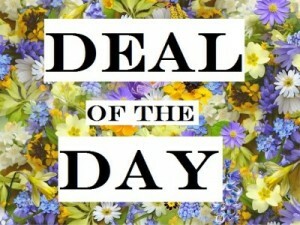 This incredibly elegant floral stunner says it all. 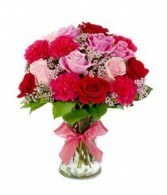 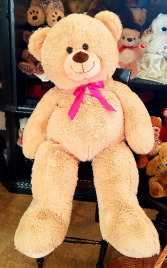 A clear vase with lovely prim rose ribbon bow is filled with roses in pink, red and light pink as well as hot pink carnations and lavender waxflower.